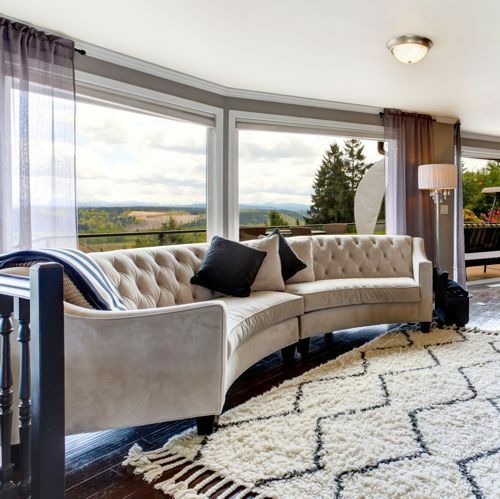 Rug Cleaning and Protection Mooresville, NC | Like New, Inc.
Give Your Rugs A Well-Earned Cleaning & Protection! We provide cleaning services for all your fine area rugs: New and antique oriental, viscose, cotton, natural fibers, synthetic and tufted. In addition to rug cleaning and repair, we offer MicroSeal Fabric Protection: a safe non-toxic non-allergenic Permanent fabric protection from stains, sun fade and wear for ALL your fibrous textiles. Located in Mooresville, NC – Like New services the Iredell, Mecklenburg and surrounding counties. Our Mission is to build on-going relationships by providing services beyond expectations and earning the right to be invited back. Like New Inc. Certified Rug Spa has the expertise and resources to provide restorative cleaning services for all your fine area rugs. Our goal is not just to clean your valued area rugs and protect your treasures, but build a long-term relationship with our customers by providing the most outstanding service experience you’ve ever had. Interested In Learning More About Your Area Rugs?